Community has been a major buzzword in the church for many years now. People love to talk about community and churches love to encourage people to be in community. So, we created a whole program around cultivating it, we called it “small groups” and it became all the rage for many years. But for all our talk about community we still aren’t really doing it. Misfit Ministries want to make community more than optional and occasional. The Bible speaks of the church in the language of community.So, we are saved into a people, we are saved to be a part of a people (1 Peter 2:10). The church is called a body, and it requires all its members working together in order to be healthy (Eph. 4:16). We are even called a priesthood, a holy nation (1 Peter 2:9). There is no such thing as lone-ranger Christianity. But for many people these truths are reduced to their most basic or simple expression. So, to be part of the church, the body of Christ, simply means to put your name on a church role and attend an occasional meeting. Community simply means I belong to a club. The New Testament, however, does not view the church this way. Church is not a club you enroll in. Church is not an event you attend. Rather, the church is a family you belong to (Heb. 2:11). We may speak in the language of brothers and sisters because that is truly how the Bible understands us. We are a spiritual family with the same Heavenly Father and the same Divine Brother. To be part of a family means that we belong to one another. We can’t say to one another, “I don’t need you,” or “I don’t belong,” or “You don’t matter” (1 Cor. 12:12-27). We belong to one another and are both dependent on one another and depended on by one another. This all sounds great in theory, after all so many of us genuinely want community. In practice, however, we tend to like the idea more than the reality. When community means inconvenience, sacrifice, patience, and endurance then we are less excited about it. When it means resolving differences, living with differences, adapting to new personalities, and surrendering our agendas then we want to bail. But community is at the very heart of who we are: Jesus is building a church; he redeems a people; He is establishing a Kingdom. These things do not exist among individuals, but among communities. 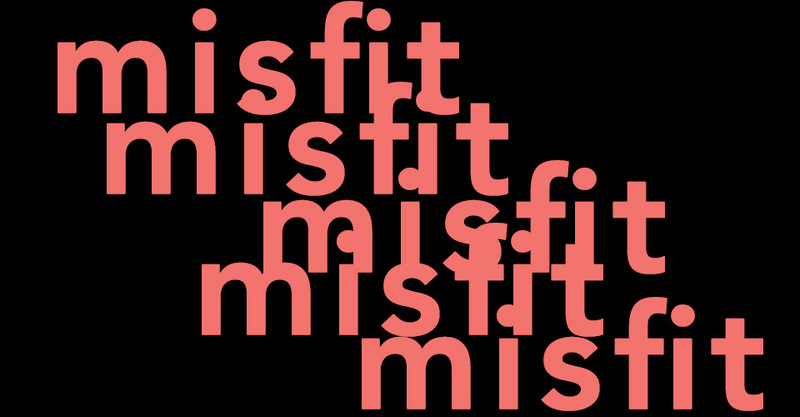 Misfit Ministries want to emphasize life together. Community is not an optional part of church life. It’s not a ministry simply for those who are looking for some friends. It is the heart of what we do as the church. So, we need to take a moment to wrestle with how we do that. Focus on People, Not Projects –> Churches can be tempted to use people to complete projects and run programs. In fact, sometimes we can burn people out and use people up on ministries because the same 20% will do 80% of the work in the church. We want to take care not to over-program our life together. If we have events every night of the week we are not encouraging fellowship, we’re encouraging busyness. We want to be intentional too, about not letting the same 20% do all the work. We may have to tell them no, and say no to programs in order to protect individuals. Structure Church Life to Promote Fellowship –> If the church fails to provide people the opportunities to cultivate deep community then all our talk about its importance will be meaningless. Our gatherings and activities need to be more than listening to monologues, and sitting as spectators. These gatherings need to give people the space and time to discuss, pray together, and encourage one another. We want people to come to church ready to engage with one another and serve one another, as Paul encouraged the Corinthians to do (1 Cor. 14:26). We need to take into consideration how to cultivate community in regular gatherings. Emphasize Hospitality –> Informality has the potential to breed more deep connection. The formal structure of ministry programs and Bible Studies can certainly be the starting place to some connection, but real connection happens when I let my guard down. Real connections can develop when I feel comfortable with you. This means as a church, we ought to spend more time simply being together. The need to constantly have an agenda can make people feel like projects, and can create more distance, not more comfort. Informality is way to make people feel like part of the family, not simply a guest or an acquaintance. Encourage the church to regularly have people in their homes, not simply go out to eat or meet up at church. Finally, Demonstrate Vulnerability –> Deep connection happens most when we are willing to be vulnerable with one another. This is not easy and it must start with each of us being willing to do it first. We can’t ask others to share if we aren’t willing to do it ourselves. This is especially true of leaders who are guarded. If you want your church to be involved in one another’s lives they need to see their pastors and elders doing it. We can go deeper only when we are willing to allow people deeper into our hearts and lives. Vulnerability is key to moving past generic fellowship to real family. It starts with me. In some ways the church should do community better than anyone, sadly we often don’t. I have observed the level of commitment, compassion, and vulnerability evident in many AA programs and thought to myself: they do it better than the church. When guys can call their sponsor anytime, when the group as a whole expresses concern over someone’s absence – enough to motivate finding him, when guys are willing to get in one another’s faces and confront issues, then you know real companionship has begun to develop. How sad it is when the church isn’t willing to do these same things. Misfit ministries know community matters, it’s not optional. Community is at the heart of ministry. Calibretto was a strange and peculiar band. Their folk-styled punk rock, lead singer Joe Whiteford’s vocal sound, and their bold Christian lyrics made them a unique band. The band’s trio never took themselves too seriously and could often write and sing about the absurd (high fives, and worms and apples), but often they wrote songs of conviction intentionally designed to skewer the Christian subculture of the 90s. They had a special interest in targeting the blatant hypocrisy of many church-goers, and, despite their stripped down acoustic style, the songs were sung and played with aggressive passion. “Creep” is the final track on their debut album, Enter the Danger Brigade. You claim to be a leader. You claim to make a stand. You won’t even give a hand. Instead of helping a brother struggling with sin, these individuals “push them to the ground.” They are the type of gossip about others sin, but forget their own sin. Who looks at others’ sin. But I think you’re a creep. If Calibretto could have done more to offer some constructive solutions to the problems they identified, they nonetheless did speak pointedly to failures, weaknesses, and sins within the church. In many cases they were misfits in the industry (see “Why Can’t I Be on MTV”), and they remind misfit ministries of what to avoid, and to do so with passion and conviction. “Creep” is a unique, if strange, song. It’s not a John Newton hymn, but it’s good misfit theology. Excellent article…I love the idea of “small groups” IF its foundation is biblical and not just another “event/social time” to busy our calendars.